San Joaquin General Hospital is seeking Respiratory Care Practitioners with experience working in an acute care hospital who desires to expand their skills in a Level III Trauma Center and Neonatal Intensive Care Unit (NICU). In the Trauma Center, the ideal candidate will possess advanced skills to be able to immediately assess and maintain a patient's airway; to draw, run, analyze, and report arterial, venous and other critical lab values at bedside; and to initiate, operate, monitor and troubleshoot, if needed, specialty equipment through the diagnostic and surgical processes. In the NICU, RCP's are expected to attend all high risk deliveries and are the only certified intubators in the Delivery OR suite. An ideal candidate for the NICU possesses experience in the transportation of critically ill babies.  As a requirement from the California Association of Pathology, San Joaquin General Hospital must maintain a copy of the high school diploma or equivalent for those employees who perform non-waive testing. The positions that perform non-waive testing for the hospital are the Respiratory Therapists. As such, should a Conditional Job Offer be extended, candidates must be able to provide proof of their high school diploma or equivalent documentation. Note: Candidates in this position may provide patient care or patient services in the Medical Guarded Unit (MGU). As a condition of employment, candidates must successfully pass a California Department of Corrections (CDCR) background investigation by the California Department of Corrections and Rehabilitation. Candidates must also maintain their CDCR clearance for continued employment in this position. This recruitment is being conducted to fill one position in the Respiratory Care Department and to establish an eligible list to fill future part-time and full-time vacancies. For more information regarding San Joaquin General Hospital, please visit their website at www.sjgeneral.org. Sets up and operates respiratory equipment and apparatus in the administration of respiratory therapy treatment as prescribed by a physician. Operates blood gas analysis equipment and reports results. Makes rounds to check and make operating adjustments to respiratory therapy equipment in use or on standby in patient areas; cleans assembles, maintains, and repairs equipment as needed. Sets up and maintains long term ventilators. Performs screening pulmonary function tests. Assists cardiac arrest team, when needed, by supplying oxygen, performing cardiopulmonary resuscitation or artificial respiration or securing and maintaining respiration equipment. Reads patients' charts and checks transcribed orders against those of the physician. May act as lead worker; may assist in scheduling staff, adjusting assignments based on census and availability of staff, may check and review work of others may train others as assigned. Note: The following special requirements were approved by the Civil Service Commission on October 11, 2017. Experience: One year of experience as a respiratory care practitioner in an acute care hospital. Neonatal intubation experience is desirable. Licenses/Certificates: Possession of a valid Respiratory Care Practitioner license issued by State of California Respiratory Care Board. A copy of the license must be submitted with the completed employment application. Offer of employment is contingent upon successfully passing a pre-employment drug screening test. Current principles, methods, and techniques of respiratory therapy; chemistry of gases used in respiratory therapy and their effect on the human body; care and operation of equipment used in respiratory therapy. Administer a variety of skilled respiratory therapy treatments; maintain and perform minor repairs to respiratory therapy equipment and to adjust it to individual patient needs; keep records and prepare reports; follow oral and written instructions; establish and maintain effective working relationships with patients, physicians co-workers and others; train and lead others. Mobility-Frequent operation of a keyboard, standing for long periods of time, walking, pushing/pulling and bending/squatting; occasional sitting for long periods of time, operating heavy equipment, running and stair climbing; Frequency of Lifting-Frequent lifting of 5 to 30 lbs. ; occasional lifting of 30 to 70 lbs., and restraining, lifting/turning heavy objects or people; Visual Requirements-Constant use of overall vision, color perception, eye/hand coordination and depth perception; frequent reading/close up work and field of vision/peripheral; Dexterity-Frequent holding, reaching, grasping, repetitive motion and writing; Hearing/Talking-Frequent hearing of normal speech, hearing on the telephone/radio, talking in person and talking on the telephone; Emotional/Psychological Factors-Constant public contact and concentration; frequent exposure to emergency situations, trauma, grief or death, decision making and working weekends/nights; occasional exposure to hazardous materials, working alone and overtime/travel; Environmental Conditions-Frequent exposure to noise; occasional exposure to dirt, dust, smoke, fumes, poor ventilation, indoor cold/heat and hazardous materials.